Broadcasters have the flexibility to change the timing of their live broadcasts, to any open time slot that is shown to be available on either station 1 or station 2. This includes the ability to change the hours of their broadcasts and the days of the week of their broadcasts. Broadcasters may also change the frequency of their broadcasts, from daily to weekly, weekly to bi-weekly, or to multiple hours a day or multiple times a week. This process is simple and painless, and takes our staff minutes to accomplish any desired changes! Just ask, and it will be accomplished almost instantly, and the changes will show up everywhere, including other syndication locations! 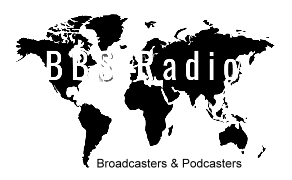 See open time slots for station 1 (https://bbsradio.com/calendar-timing-on-show/station-1) and station 2 (https://bbsradio.com/calendar-timing-on-show/station-2).